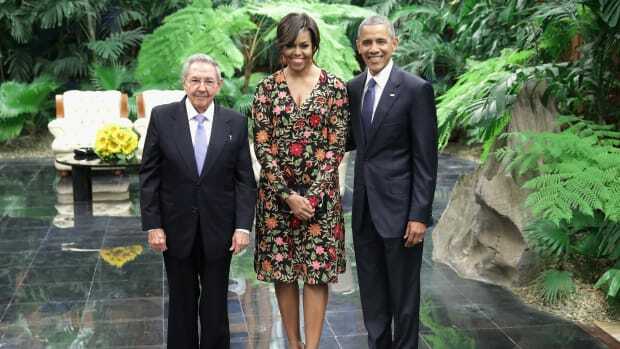 As the first family&apos;s latest state visit moves from Cuba to Argentina, Michelle Obama is bringing her sartorial A-game right along with her. After a jam-packed three days in Havana filled with dresses by Carolina Herrera and Naeem Khan — two of her go-to labels — the First Lady stepped off the plane in Buenos Aires on Wednesday in yet another favorite designer of hers: Narciso Rodriguez, whose pieces she most recently wore to the 2016 State of the Union in January. 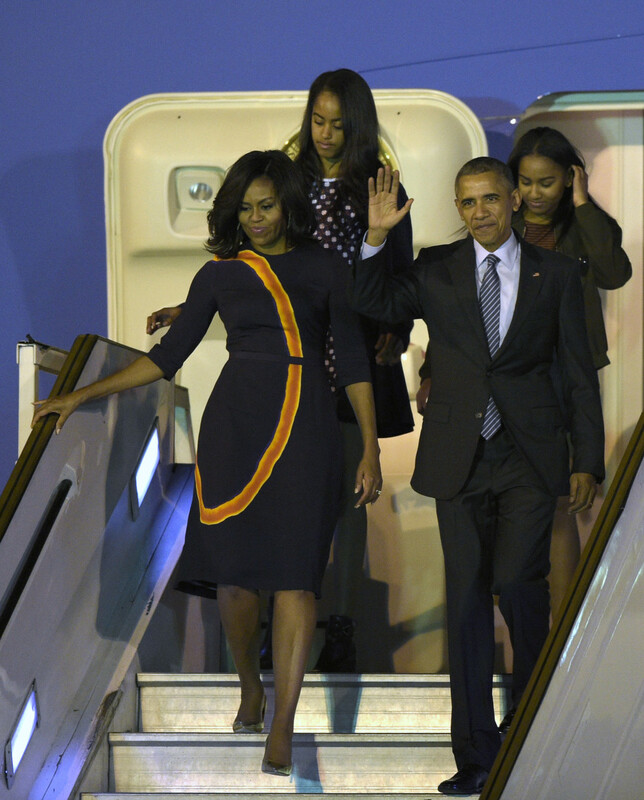 But FLOTUS&apos;s latest frock, a purple printed dress complete with an amber mineral dye detail, has but one caveat, pointed out by the Washington Post&apos;s Robin Givhan: While Rodriguez himself is of Cuban descent, she didn&apos;t wear one Cuban-American designer while actually in Cuba. Rodriguez, of course, is the son of Cuban immigrants, and is known to take great pride in his heritage. With this being such a milestone visit to island — the first of a U.S. President in nearly 90 years — we at Fashionista can&apos;t help but wonder why Mrs. Obama reserved such a festive Narciso Rodriguez frock for the second, post-Cuba leg of the trip. 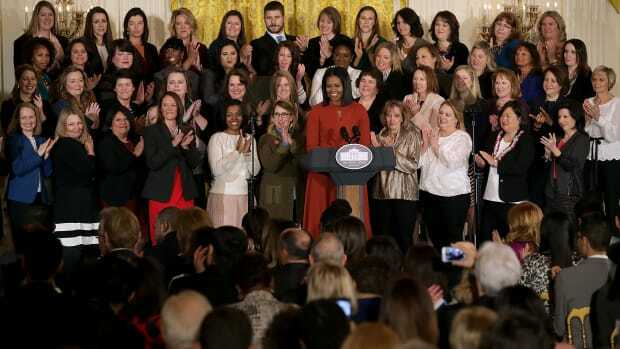 And haters, we hear you: It&apos;s not a rule that the FLOTUS wear a brand from the host country, but surely we&apos;re not alone when we recognize that it would&apos;ve been a nice salute.